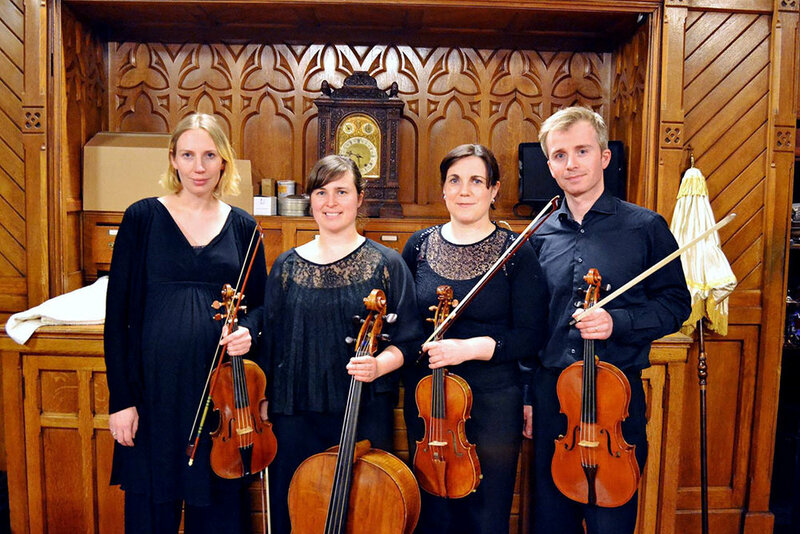 Based in Cork, the Giordani String Quartet is Ireland’s only period instrument string quartet, playing on gut strings, which produce the sound anticipated by the composers. The group takes its name from the Italian composer Tommaso Giordani, who lived and worked in Dublin in the late 1700s, and it plans to perform and record all 12 of Giordani's string quartets. Since forming in 2016 the Giordani Quartet has performed at the Newry Chamber Music concert series and at East Cork Early Music Festival. All four members bring national and international experience to the Quartet, having contributed to the programmes of the Irish Baroque Orchestra, Irish Chamber Orchestra, Scottish Chamber Orchestra, Orchestre Révolutionnaire et Romantique, Orchestra of the Age of Enlightenment, and London Mozart Players, among others.